Burrows Lea Forge Sign in the firelight. This is my Company signature piece I reckon. Its pretty good generally, as its sums up what I do in a glance. The back story is rather different…. I made this sign when I was leaving my apprenticeship in1995 (I was 26 years old at the time) and was to be my ‘masterpiece’. 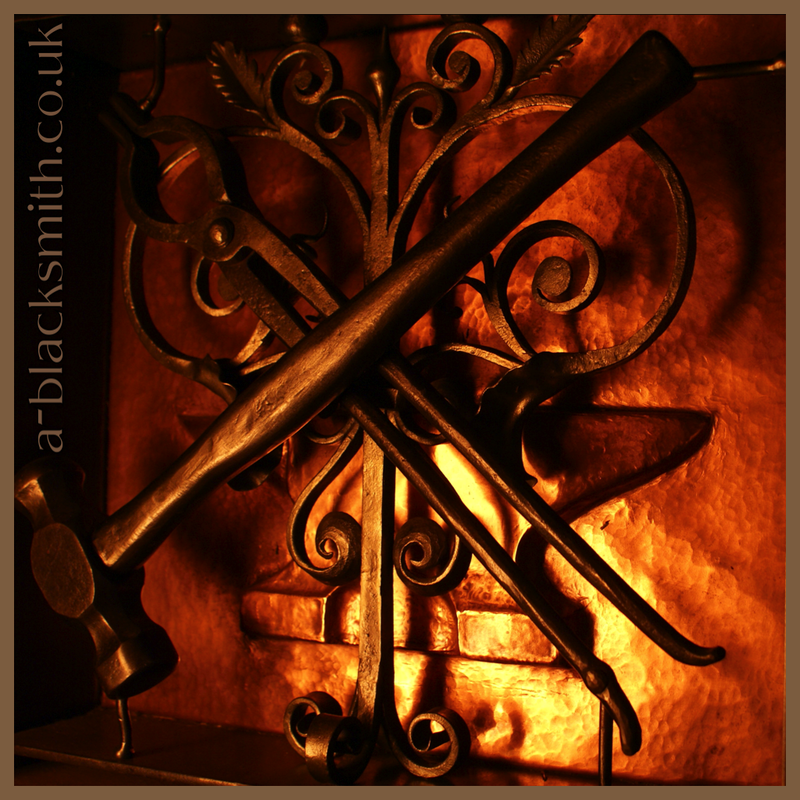 I had been using a drawing for my company logo and thought it a good idea to realise it into a physical example of what I could do as a qualified Blacksmith. As usual I left it to the last minute to make it, so much so, my Master Smith threatened to refuse me my qualification if I was late in submitting it. I know you mentioned it. But in retrospec, is there anything else you’d say about the piece and the process? Thank you for sharing, I imagine you’re busy and I follow your blog with great interest and with appreciation for your work and words. Thanks for ur comment Mr Pirate, sorry for the delay in a reply. I could go into great detail about my ‘masterpiece’ but I’m not sure if it would add anything to the story so far. I thought it funny that I had to make it to a short deadline, which seemed to define by business career from that time onwards. Have you checked out http://www.facebook.com/burrowsleaforge there’s a lot more day to day clutter, thoughts and pics there for the Pro Blacksmith follower.